Simple? Yes. Delish? Definitely! Grab some canned pears, COOL WHIP, cinnamon and vanilla wafers, and let's talk fruity desserts. 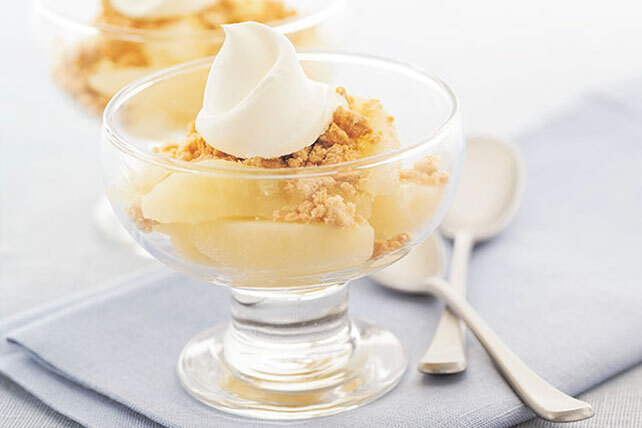 Spoon pears into 4 dessert bowls. Combine COOL WHIP and cinnamon; spoon over desserts. Substitute 4 graham crackers for the wafers.